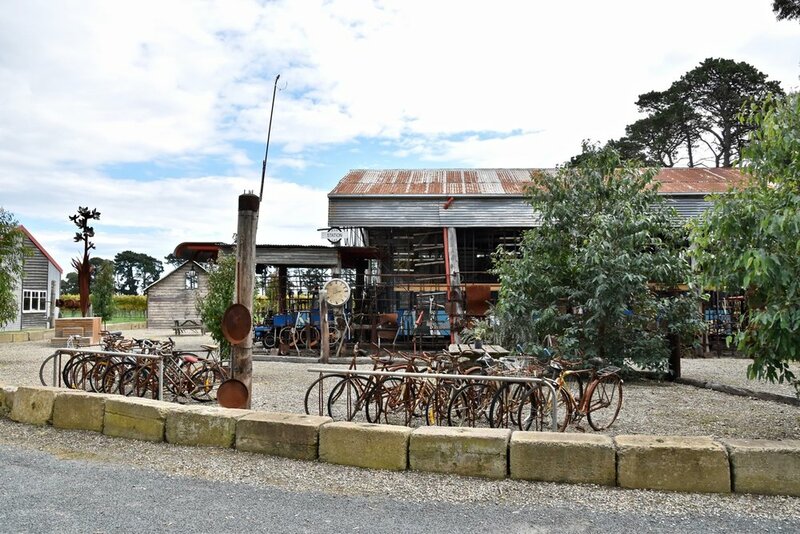 Step out of the city and you’ll stumble upon The Bellarine, no more than 30 minutes from Geelong. With its landscape laced with lush vineyards, captivating bay views and coastal villages, The Bellarine is home to exceptional food and wine. The seaside villages of The Bellarine highlight what makes this place special; from delectable provedores and farmgates, right through to world-class golf courses, boutique shops and magical beaches. Jack Rabbit Restaurant possesses all of the requisite elements to deliver an enchanting experience. 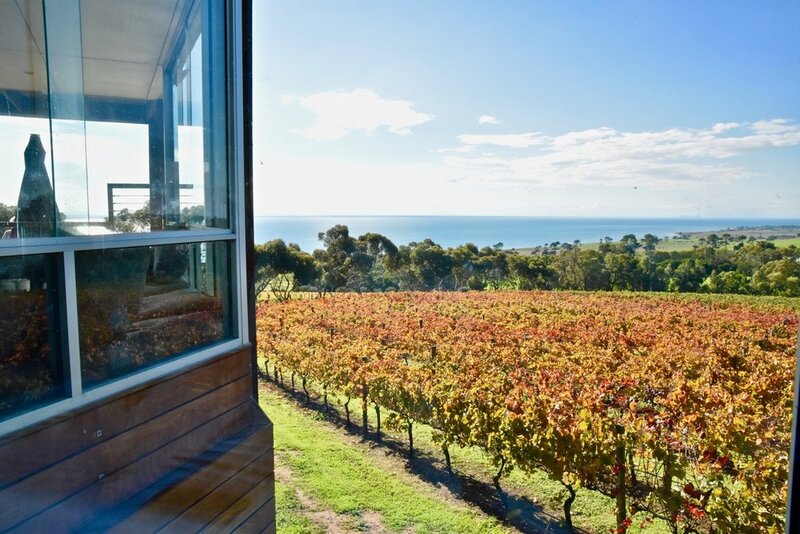 Attached to one of the most significant wineries in the region, the restaurant boasts unrivalled views across the bay to Geelong, the You Yangs and Melbourne and is an idyllic place to enjoy a stunning meal complemented by Jack Rabbit's award winning wines. Under the capable guidance of Head Chef David Warmisham, the sense of true hospitality is palpable, echoed in the modern Australian menu prepared using high quality, fresh ingredients which are often locally sourced. To start, the Taleggio panna cotta, was beautiful. The melt in your mouth panna cotta was bursting with natural flavour, a flavour further enhanced by the subtle sweetness of the beet gel, tartness of the balsamic beets, crunchy pistachio and delicate chervil. For mains the aromatic Devon duck breast, pleased. Exquisitely prepared, the slices of duck breasts were each tender, and, together with the caramelised onion, endive tart, cherry gel, broccolini and the orange jus as the crowning element, a memorable dish. Whatever you do, do not leave without trying the desserts at Jack Rabbit. Think Chocolate and cumquat parfait, Tuckerberry hill strawberries with sour cream foam, balsamic reduction as well as Raspberry tart, limoncello mousse, white chocolate crackle with almond cream. Delicious! Jack Rabbit is a wonderful spot to enjoy a glass of award-winning wine, have a meal or simply wander the picturesque grounds. Producing sophisticated cool-climate wines, premium ciders, as well as smokehouse products, Jack Rabbit is a must-visit on the Bellarine. If you love your olive oil like us, we suggest you visit Lighthouse Olive Oil for a free extra virgin olive oil tasting, and bring home a few bottles. It is the perfect opportunity to browse through a very good range of olive oils, local wines, potted olive trees, giftware, soap and other premium body care products made with olive oil. Lighthouse Olive Oil shopkeeper Rosie Holder is an absolute star and will be able to guide you through the range and share some stories about the region! Run by pharmacists Corinne and Peter Blacket, Drysdale Cheeses produce small quantities of handcrafted cheese and yogurt from their own herd of Saanen milking goats. It may have started as a hobby, but the pair’s passion has led them to produce goat cheese and yoghurt that consistently wins medals. The farmgate is open the first Sunday of every month (with a hiatus over winter), regular cheese making classes are held and Drysdale Cheeses wholesale to many of the local cafes and restaurants. We loved meeting passionate Corinne and her lovely goats before indulging in a tasting of some of their award winning cheeses. The cheeses we sampled were absolutely stunning and boasted a wonderfully fresh flavour without the gaminess often associated with goats cheese. We even had the opportunity to try the Drysdale Cheeses Goat Milk Halloumi which won the 2017 delicious. Produce Awards this week! 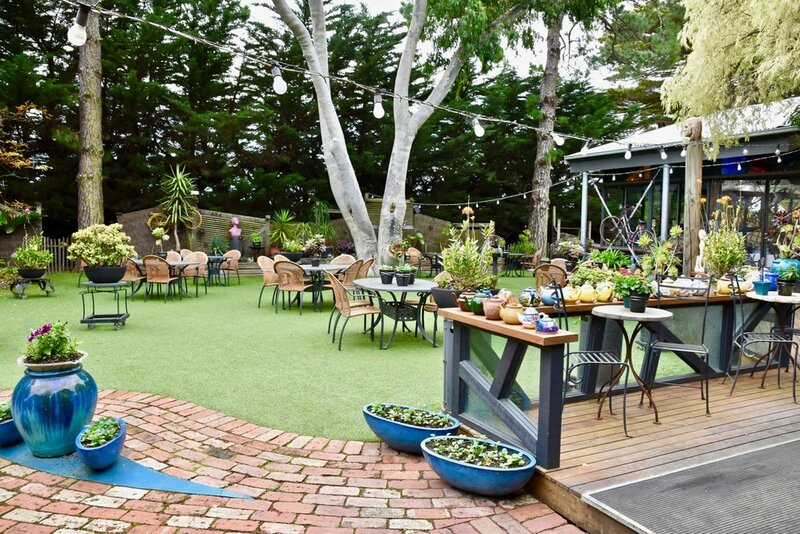 Located in Indented Head, Starhaven was named one of Australia’s top 25 B&Bs in the 2015 TripAdvisor Travellers’ Choice awards for Hotels and it is easy to understand why. A luxurious townhouse housing an ultra-chic B&B, Starhaven Retreat is more like an elegant home away from home than a hotel. Owners, Ian and Rob are the hosts with the most, ensuring every guest's experience is seamless. The interior design is wonderful, uniting traditional architecture with modernist luxury. The fireplace, antiques and collectables make this "home" feel truly lived in. 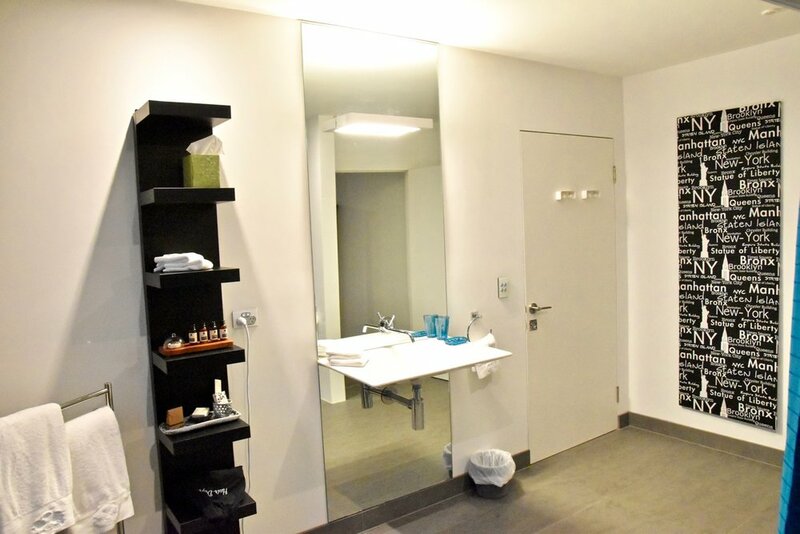 The property was even featured on the first series of Grand Designs Australia in 2010 when it was first constructed, before being opened as an accommodation facility in mid-2013. A jet stream swim spa, rooftop terrace, games room, "Gold Class" style 15 seat cinema with starlit ceiling and a gourmet cooked breakfast are all included as part of your stay so your holiday truly begins the moment you arrive. We thoroughly enjoyed staying in Starhaven Retreat's Orion Suite. 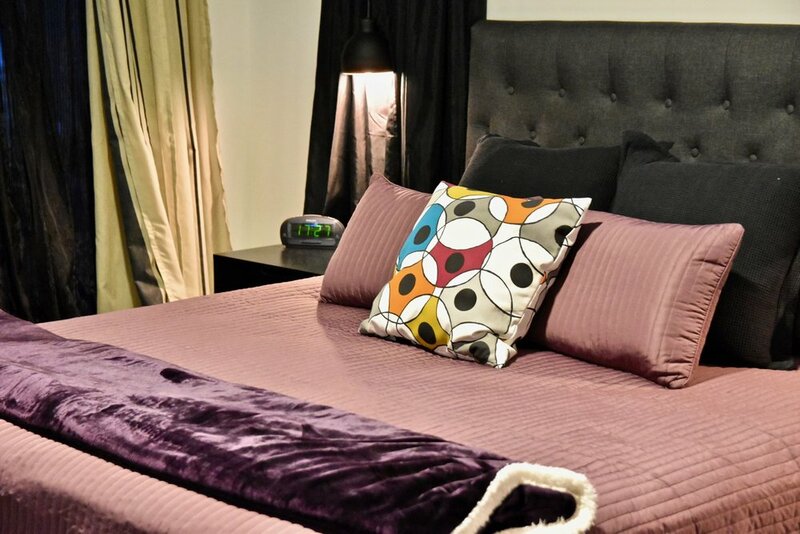 Located on the ground floor, the Suite boasts a king bed, free on demand movie system on 3D LED flatscreen TV, tea and coffee facilities, private ensuite and a private balcony. 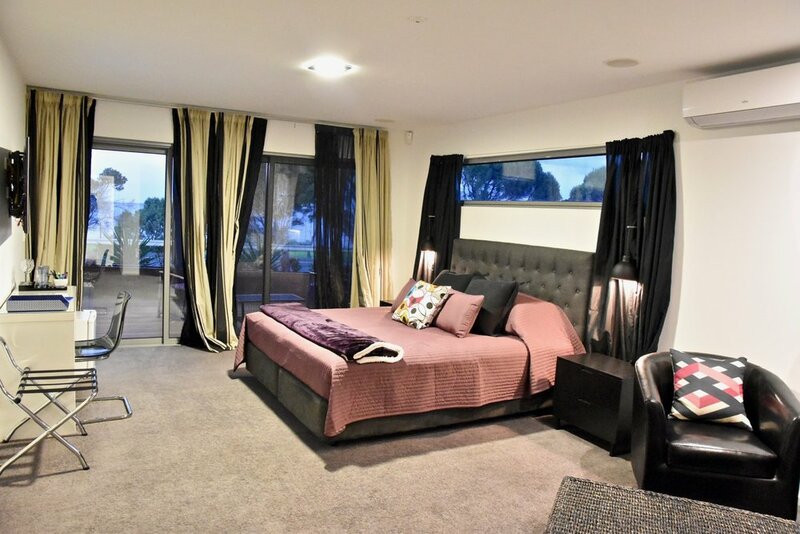 With impeccable service, a stunning beachside location offering stunning surrounds, fantastic views and luxuriously appointed suites, Starhaven Retreat delivers an enchanting experience perfect for a luxury escape in The Bellarine. Named after the indigenous term for ‘food from the earth’, Merne is a great gourmet addition to the region’s burgeoning food and wine scene. If you haven't heard about Merne yet, you will. With an A team of four decorated Geelong region chefs and food experts, Merne is the spanking brand new relaxed, dining venue in The Bellarine. This is the latest culinary venture by Matt Dempsey of hatted restaurants Tulip and Gladioli, business partner Graham Jeffries of Tulip, former chef at Tulip Josh Smith and Caleb Fleet from front of house roles at the Vue Grand and Pettavel Winery. 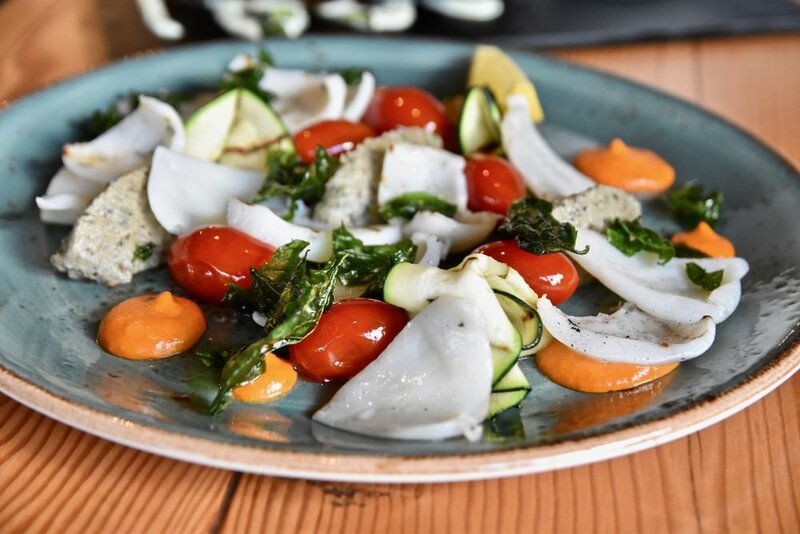 The menu is based around sharing food and heroes regional, local and fresh produce sourced from the restaurant's fruit and vegetable garden where possible. 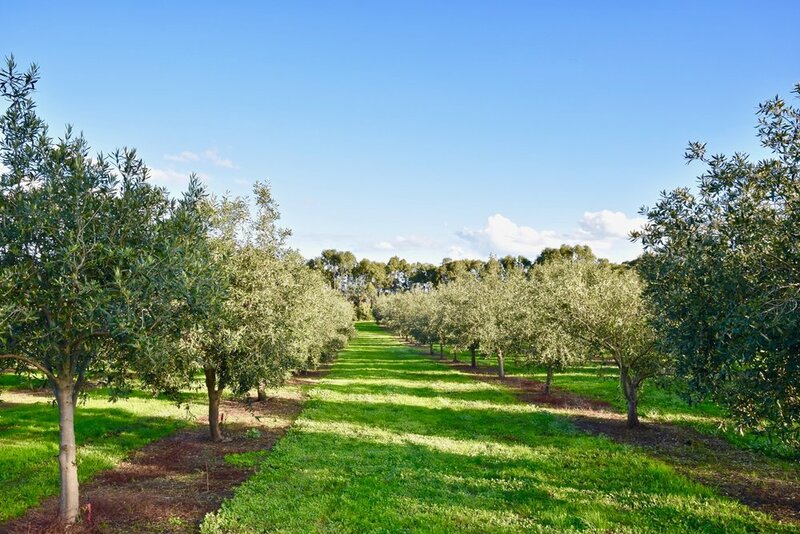 The large windows which encase the dining room, affords diners with a picturesque view of the surrounding olive grove and emerging vineyards and allows warm sunlight to billow in, providing a bright, airy and spacious atmosphere. The dining room is marshalled by excellent service staff, led admirably by Fleet. Each very knowledgeable and pleasantly friendly and humble. Merne combines these elements to deliver an enchanting experience, one not found in the hustle and bustle of Melbourne. All this is before the food even arrives. We opted for the 4 course option (which is a lovely understatement. The journey took us through around 10 dishes plus sides as each course comes with several plates). 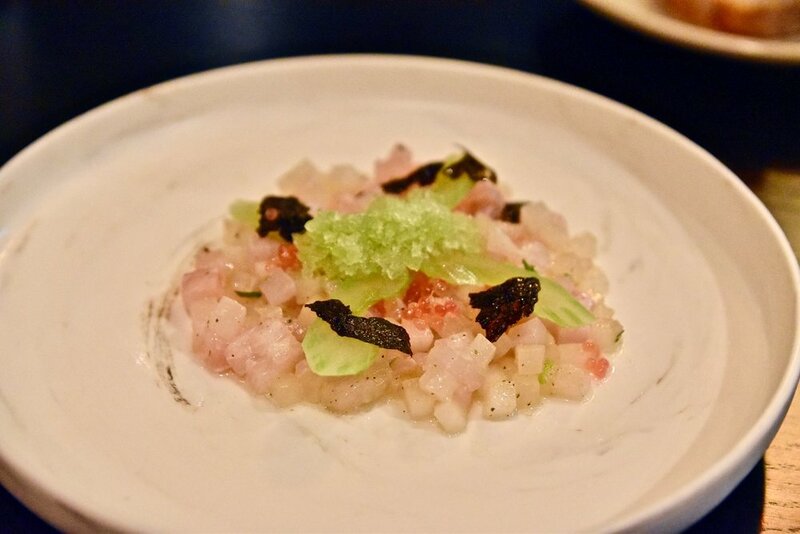 This commenced with olives and a wonderfully vibrant amuse bouche of freshly shucked oyster with fermented apple. Our favourite dish from the first course was the buffalo mozzarella. Simple, elegant and impactful, the dish was exceptional. We enjoyed how the buffalo mozzarella, radish, caper and pumpkin each worked in sync to produce an enlivening dish. The second course ensued with a dish of "mussel tacos". A celebration of the sea, perfectly cooked mussels were encased within kohlrabi "taco shells" and laced with aromatic chervil and sea succulents. This was followed by a decadent dish of kangaroo. The kangaroo was absolutely stunning- tender, melt in your mouth and boasting a wonderful depth of flavour. Together with the buckwheat porridge, pickled walnut and parsley, this was comfort food at its best. The final two savoury items continued the trend of the evening - spectacular. The dish of Ling, swede, fennel and smoked eel was elegant and delicious. The flesh was extremely delicate and communicated the natural flavours of the gloriously fresh Ling. 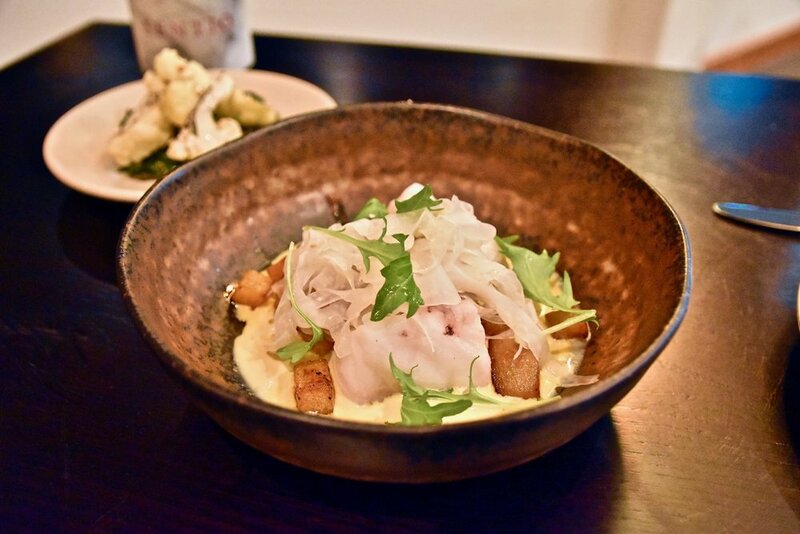 It was a seductive and interesting combination with the smoked eel cream adding interest without detracting from the Ling's delicate sweetness. The dish of beef short rib, Jerusalem artichoke, broccoli and hazelnut was, as expected, delicious. Desserts at Merne are similarly well devised. The Smoked Apple, goat milk ricotta, macadamia and popcorn was a thoroughly modern dessert that excited and delighted. Not to be missed is the dessert of blue cheese (from Drysdale Cheeses), walnut, quince and truffled honey - a wonderfully decadent cross between a dessert and a cheese course. Simply stunning. 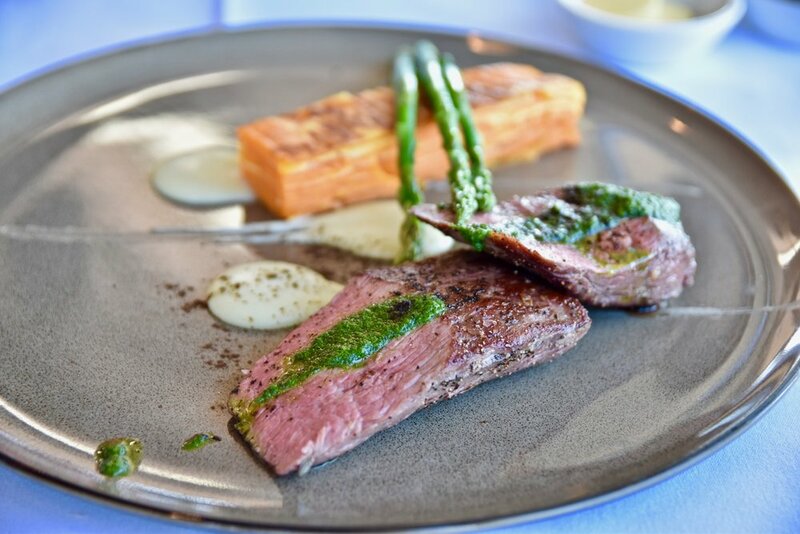 Merne's captivating menu which showcases the freshest and finest produce in the Bellarine Peninsula provides the perfect excuse to escape to the region for an enchanting experience filled with equal parts tranquillity and indulgence. 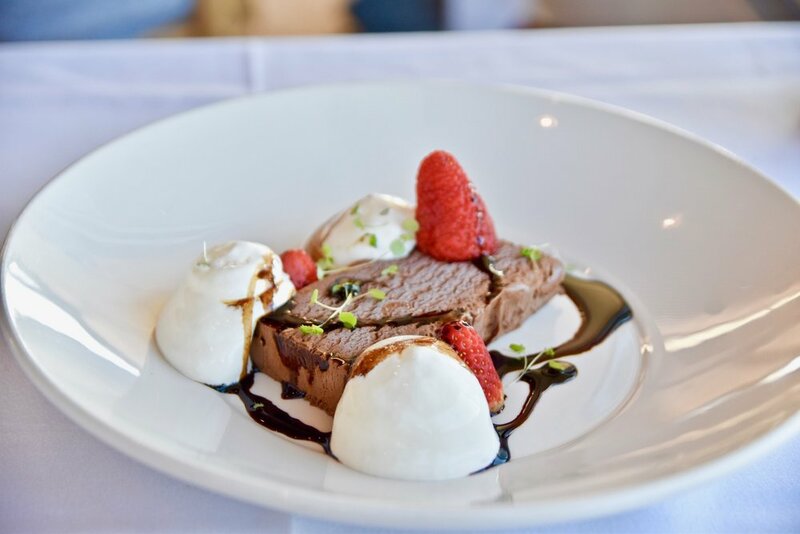 Housed in an invitingly converted Golden Fleece roadhouse, PIKNIK sources all of the very best produce the Bellarine Peninsula has to offer. Brimming with charm the café is often bustling with locals and foodies excited to try their delicious and interesting brunch options. We loved the Asian inspired lemongrass, ginger and chicken broth with basmati rice and fresh coriander. A delectably warm dish - It's like a hug from grandma! The ‘Imam Bayaldi’ was another hit - a decadent dish of spiced eggplant stuffed with tomato, onion and cous cous. Yum. Oh, and coffee is great too! So, if you're looking for a caffeine hit, this place is perfect. 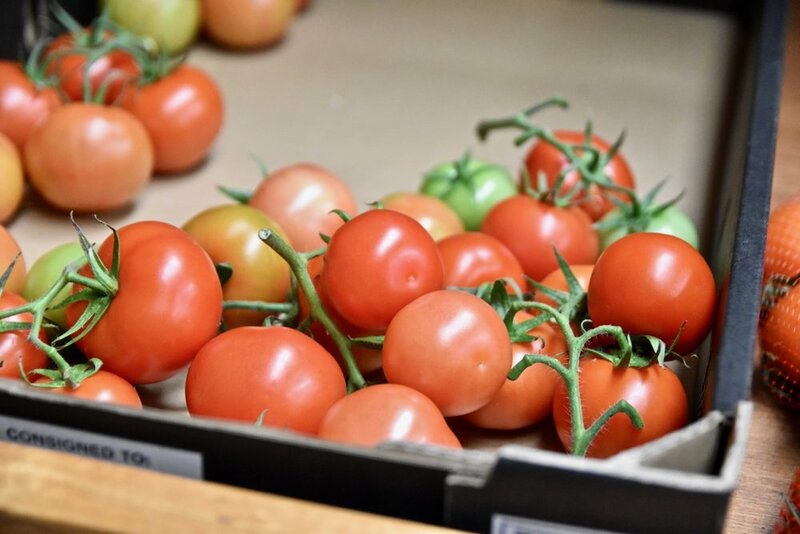 Lonsdale Tomato Farm produces a variety of beautiful tomatoes including truss, round, roma and cherry in their enormous greenhouse. There are over 6,000 plants growing, to supply the public and a range of cafes and restaurants across Geelong, Bellarine and the Surf Coast. 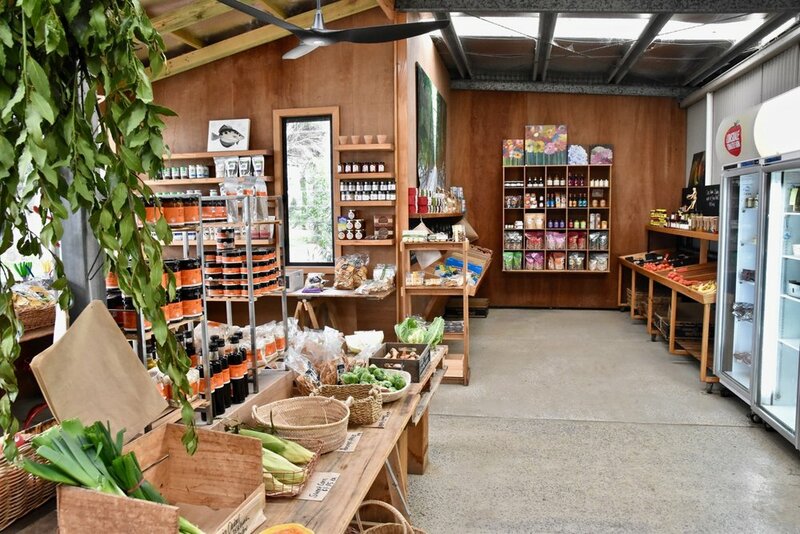 Lonsdale Tomato Farm has a welcoming and rustic farmgate shop. 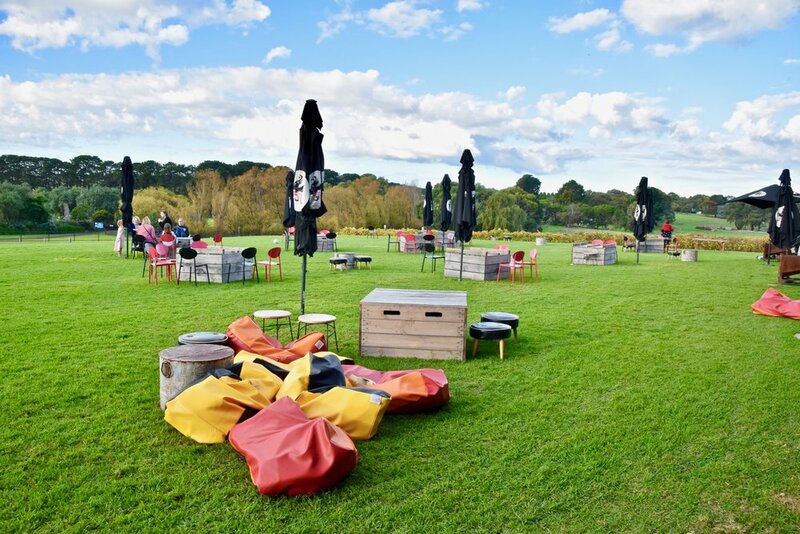 Oakdene is home to a fine dining restaurant, casual eatery, luxurious accommodation and a quirky cellar door shaped like an upside-down house. We loved exploring the grounds and enjoying a taste of Oakdene’s wines in their eclectic cellar door. Flying Brick Cider is the home of Australia’s fastest growing cider brand. The ciders are naturally crafted, made from 100 per cent fruit and free from added sugar, colours or concentrates. The Flying Brick Cider House is all about delicious and honest food. Executive Chef, Dwayne Bourke, has created a contemporary menu designed to share and indulge with loved ones. We loved that local produce and community group partnerships are both key features of the menu. 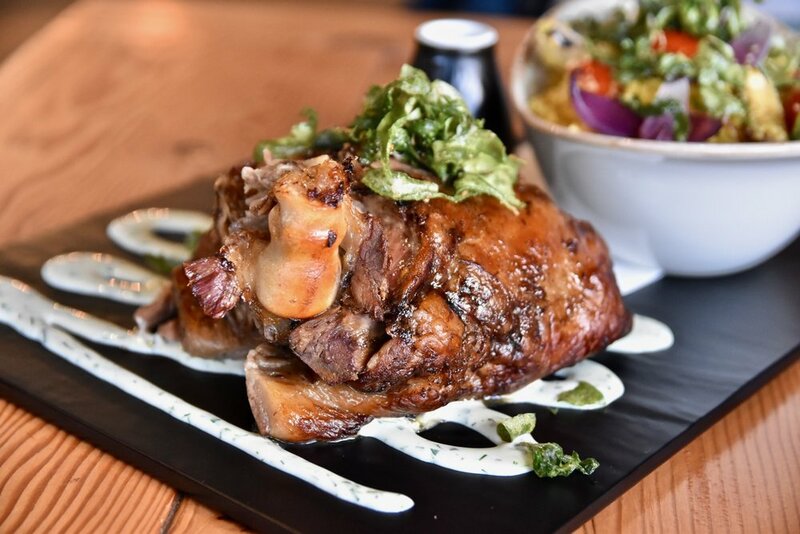 Whatever you do, make sure you try the Slow Cooked Bellarine Lamb Shoulder. This is one hearty dish that will keep you wanting more. The lamb is exceedingly tender and marinated in saltbush so it is bursting with flavour and served with fluffy pearl cous cous, herb yoghurt, orange, dates, onion and tomato. Scotchmans Hill Winery is an iconic winery, that has just opened a brand new cellar door housed within an old French provincial farmhouse amongst the estate's vineyards. We thoroughly enjoyed the wine tasting experience whilst taking in the magnificent views over Port Phillip Bay to Melbourne.